Hey! I am Keeley. To tell you the least, I am a horse enthusiast, I have been on my horse journey for about 6 1/2 years, I am an avid organizer and planner, and my latest obsession is the color rose gold. I am the oldest of four sisters, so I am not going to lie, I am a bit of a control freak. I love re-decorating my room with DIY’s, I am a definite people pleaser, and I can’t live without music. Horse Chats is a blog for any horse enthusiast, young or old, interested in living an equestrian life. New posts come out every Monday and include riding tips and tricks, liberty, dressage training, riding insights, equestrian clothing wear reviews, and a sneak peak into my horsey life. My goal is to write about things that inspire me, so hopefully, I can inspire you as well. Horses are an extraordinary animal and I can tell you that throughout my riding journey, they have inspired me every day and helped me strive to become a better person. 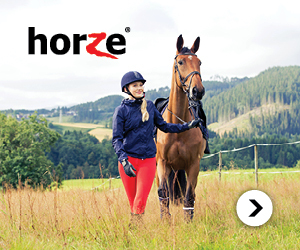 Subscribe to Horse Chats and receive updates, blog post notifications, FREEBIES, and more! I am so glad you stopped by! Feel free to stay a while! How long have you been riding for? – I have been riding for 6 years now. Why did you start blogging? – I started blogging because I wanted to create a place (on the internet) where horse lovers could come together from around the world and share their love of horses. When is your birthday? – My birthday is on Valentines day!! Best B-Day ever!! How many horses do you have? – I have two horses that I own…one is named Sky and she is a Quarter Horse and the other is named Reba who currently is not staying at the barn I ride at right now. I also ride another horse named Kahari. What is one interesting fact about your horse(s)? – Sky LOVES anything food (haha). She has a very calm and quiet demeanor, so nothing usually spooks her. Reba is currently at a kids camp right now doing light work as her hip is permanently damaged. All the kids love her! What is one interesting fact about yourself? – I had the opportunity to ride elephants when my family and I lived in Thailand for 2 years. If someone wanted to start a blog, what advice would you give them? – I would say to GO FOR IT! This life is full of opportunities and if we want to accomplish our goals and dreams we have to grab them and cling on to them. You can accomplish anything if you truly put your mind to it and work as hard as you can. My best advice is to not look back, but to keep moving forward. What is your favorite food? – I love sushi! What do you like to do in your spare time? – Trick question! Blog of course…oh and spend time with the horses! What is your top three places in the world you would like to visit? – I would LOVE to go to Bora Bora, but it is so expensive (a girl can dream, right?). I would love to go to Australia as it is so beautiful and I love the beach! I also would love to go Europe to visit the Lipizzaner Stallions. What discipline do you ride right now? – I love English riding, such as dressage and hunter. Who is your equestrian idol? – My equestrian idol is probably Alisha Newton.